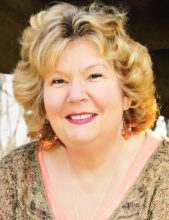 Susan K. Liffick, age 67, of Westfield, IL went home to be with the Lord on Sunday, September 16, 2018 at her home, after a long battle with cancer. Susan was born on August 27, 1951 in Paris, IL to Charles and Betty Jean (Dunn) Meeks. She married Daniel Keith Liffick on August 23, 1970, and they enjoyed 48 wonderful years together. Susan attended the Brocton Christian Church in Brocton, IL and First Baptist Church in Martinsville, IL, and was active in the Great Banquet community. She enjoyed sewing, cooking, photography, and poetry. Her deep love for the Lord and her family was evident to all who knew her. She is survived by her husband, two children: Bill Liffick (Keri Hales) of Tuscola, IL, and Cindy (Anthony) Poole of Prairie Creek, IN; two sisters: Janet Dye of Hume, IL, and Julie Keys of Sidell, IL; two brothers: Howard Meeks of Terre Haute, IN, and Larry Meeks of Chrisman, IL; and four grandchildren: Marie Poole, Mackenzie Poole, Katherine Poole, and Juliana Liffick. Visitation will be held Thursday, September 20, 2018 from 4:00 to 8:00 p.m. at First Baptist Church in Martinsville. Funeral services will be held Friday, September 21 at 2:00 p.m., with burial to follow at Payne Cemetery in Brocton, IL. For those who wish, memorials may be made to Martinsville First Baptist Church. To send flowers or a remembrance gift to the family of Susan K. Liffick, please visit our Tribute Store. "Email Address" would like to share the life celebration of Susan K. Liffick. Click on the "link" to go to share a favorite memory or leave a condolence message for the family.